As you may or may not know, the Norphans organization was created as a way for Alumni from Northeast Catholic High School to give back to the community that has given so much to us. Each year, we raise money from the generous Norphan community and then give that money to dozens of students in Philadelphia Archdiocesan High Schools. 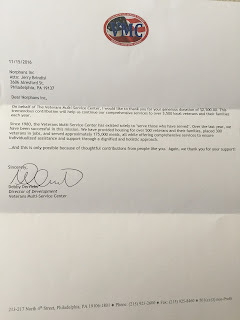 In addition to those cash grants, we also support select charities in the Philadelphia area. 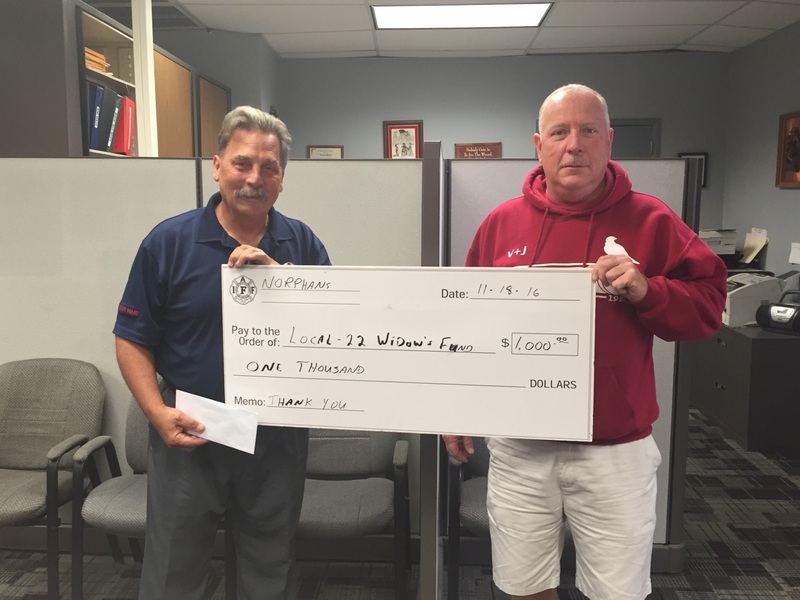 While the student grants are being finalized, the Norphans team decided to make a few donations to three very worthy causes; The Veterans Multi-Service Center, the Firefighters's Local 22 Widow's Fund and the FOP Survivors Fund. These are all great local organizations that do tremendous work on behalf of the community in and around Philadelphia. And, thanks to your generosity, the Norphans were able to help these organizations help others. In the coming days, the student grant winners will be announced. We had an overwhelming number of applications this year, and the selection process was a difficult one. Once the students have been selected to receive a grant, the schools of the grant winners will be notified and the list of the winners will be posted on this site. On behalf of the Norphans Board of Directors, thank you to the the entire Norphan community.